Oxidation is a major cause of cataract formation and antioxidants are presumed to be effective in preventing cataracts. Among the antioxidant nutrients, lutein is noteworthy for reducing the risk of cataract formation. The effects of lutein were verified by measuring changes in mRNA expression in order to represent the synthesis of certain proteins as mRNA transcription initiates the first stage of protein synthesis. One of our studies investigated mRNA expression of antioxidative enzymes in the lenticular anterior capsules of the same patients before and after intaking the antioxidant supplement. After intaking, the expression of glucose-6-phosphate dehydrogenase (G6PDH) and 18S rRNA (18S) increased significantly. There were also significant positive correlations between G6PDH and 18S expression. G6PDH expression quadrupled and 18S expression almost doubled. 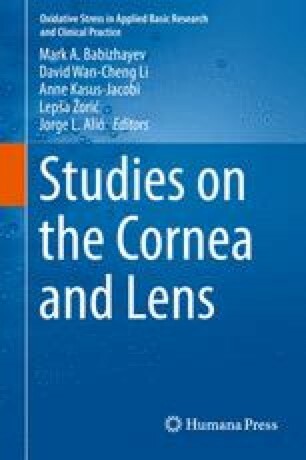 This strongly suggests the antioxidative effect of lutein in the lens and that it may be effective in preventing the progression of cataract formation.